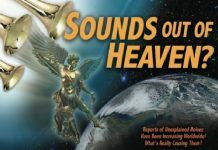 Within the last few days, mystery booms and strange sounds were reported across wide portions of the US and the UK. 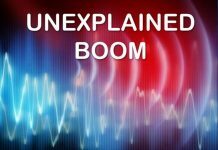 Here a compilation of some of the latest unexplained events. A mysterious explosion rattled homes in Garfield, New Jersey on September 8, 2017. The cause remains unknown. Houses were shaken by a still mysterious boom in UK. Witnesses report a loud noise as if something collapsing and hitting the ground or going boom. The mysterious bang was heard in Burslem, Tunstall, Sneyd Green, Middleport, Etruria, Ball Green, Chell and some parts of Hanley over more than 30 miles. The strange sounds from the sky continue. Finally a mysterious explosion shook homes at 10:49 PM in Moranbah, Australia on September 7, 2017. 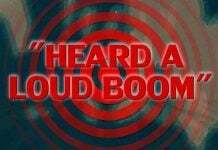 A sonic boom? A transformer explosion? 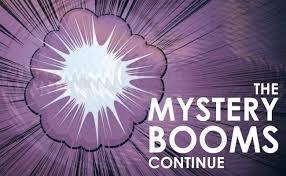 With all these new strange sounds and unexplained booms, the mystery deepens. sounds like a train shunting yard is near by. I have heard the same sounds here in Orangeville ont canada there is also a plastics plant near by which has vacuum silos which make some strange sounds. It sounds like a Flux Capacitor, or We are living in a time known as The End of Ages. Witch do u think it is? The one in Illinois is the weekly tornado siren that occurs every Tuesday . Most if not all counties in the state of Illinois conduct a test of tornado sirens at 10:00 a.m. the first Tuesday of every month. Illinois…Tuesday 9-5-2017 at 10:00 a.m. that’s what you would hear. Yep…a normal test. 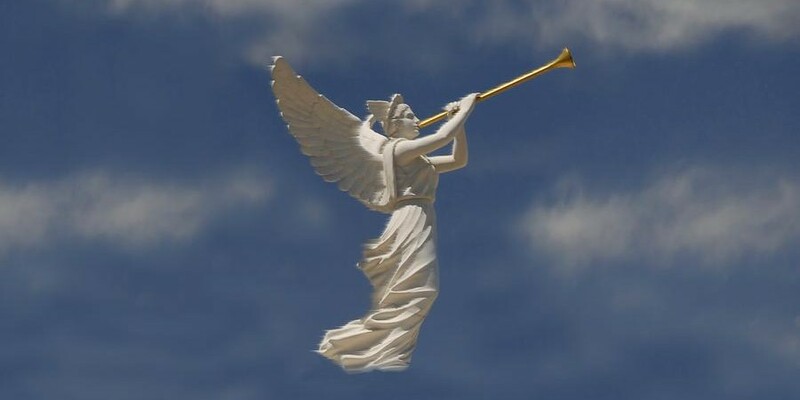 There are many hoax videos featuring the ‘trumpet sound’ or Gabriel’s ‘shofar sound’ or sounds in the sky which can be attributed to a video audio overdub with an instrument called a waterphone megabass. Please be mindful of such deceptions to subvert your common sense and play upon your religious end of the world doom theories. I live in Nacogdoches Tx and I heard a loud sound this morning around 7:15 am the sound was so intense that I felt in my body my family heard it looked out side didn’t see anything, only thing I can say is warning comes before destruction, to much going on in the world, watch and pray, Jesus is soon to come. Wait so there was an explosion/boom heard at 10pm on the 7th in Australia one hour before the 8.2 earthquake that devastated Mexico?? Yeah I don’t believe its coincidence. Besides volcanoes, earthquakes and hurricanes/flooding we are also getting bombarded with solar flares of a quite high degree. How much of it is mankinds fault and messing with HAARP I have no clue… but one thing is certain… we are in for a big surprise very soon.